SkyData UAV accurately measures building progress using an industry leading data collection and processing software to generate point clouds and other files that integrate with programs such as BIM 360, Revitt and Bentley to measure as-planned with as-built. SkyData UAV provides high-quality and accurate ground video and photography to document existing conditions prior to construction, construction progress and after work is completed on government road, water and sewer, and other construction projects. SkyData UAV provides architecture, engineering and construction companies with images and data to document existing conditions prior to construction, construction progress and post-construction verification. By safely operating at much lower altitudes than manned aircraft while using high-resolution cameras, SkyData UAV provides cost-effective and high-quality aerial imaging – up to 1.5 centimeters per pixel resolution – which is significantly higher than resolution attained by commercial satellite imagery services and manned aircraft. Deliverables include high-resolution multi-angle building/job site photographs, orthomaic photographs for creating maps, 4K and HD ground and aerial video, 3D building/job site images, and GIS data. SkyData's data files integrate with CAD software to facilitate building information modeling of residential, commercial, resort, campus and golf course design and construction projects, as well as infrastructure inspection. Correlating survey points on job sites with the building that is under construction increases that accuracy of the final data. For an additional fee, SkyData UAV can provide ground control points with an accuracy of up to 10 mm horizontal and 20 mm vertical without a known mark, and 10 mm horizontal and vertical with a known mark for each aerial data collection flight. 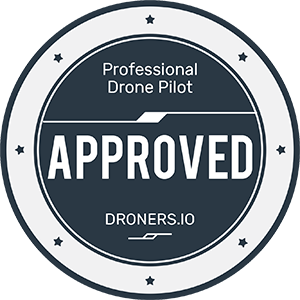 SkyData UAV is available on a per-project or multi-project / multi-visit basis. Before undertaking a project, we meet or have a discussion with you to understand your objectives, scope of work, goals, deadlines and deliverables. We collaborate with you to develop a work flow that optimizes the utilization of SkyData UAV’s services and software to meet your needs. We can also provide sample files for testing our photo and data collection process to ensure that what you need can be provided by SkyData UAV. Discuss visual and marketing objectives, agree to a price, and sign a contract for services and the scope of work. If flying within five miles of an airport, we will obtain a FAA waiver, if we do not have it already. Develop a flight plan to capture the important visual elements. On the day of the shoot, visually survey the proposed flight paths and fly the UAV. Deliverables are provided within the agreed upon deadline. ​Before engineering firms design roads, bridges, pipelines and ports, or architectural firms design buildings or landscapes, SkyData UAV cost effectively provides files and images detailing topographical and environmental conditions on the proposed site. SkyData UAV provides building inspection services with a drone for structural and forensic engineering firms, and public adjusters. Drone images and data document conditions in greater detail, and more safely, efficiently and cost effectively than manned inspections. Thank you for contacting us! You will receive a response the same or the next business day.